Sharing our experiences, learning and inspiration around educational practices that are responsive to all learners. Writing as Instructional Practice: Writing is thinking made visible. Because writing is visible, it allows people to work together in a complex intellectual space. Writing can provide a shared space for teachers and students. Writer’s Workshop: Writer’s Workshop is an approach to writing in which students take on the role of working authors and spend most of their time engaged in the act of writing. They write as often as possible for real purposes about things that matter to them. Using Mentor Texts to Motivate and Support Student Writing: Mentor texts are any text that can be used as an example of good writing for writers. Writers use a mentor text to inform their own writing. Speech recognition, also referred to as speech-to-text and voice recognition, is a technology that recognizes speech and can transfer spoken words into digitized text. Speech Recognition in the Classroom: What do Teachers Need to Know? Word prediction software can help a student during word processing by “predicting” a word the student intends to type and provides spoken feedback. When a student inputs the first letter of the word, the software presents a list of possible words beginning with that letter. Word Prediction in the Classroom: What do Teachers Need to Know? Emergent writing includes the marks, scribbles, lines, and randomly selected letters of beginning writers. Students of any age can be emergent writers. During the emergent writing stage, students are experimenting with writing. As they experiment, students are figuring out how to use a pencil, how to construct understandings, how to represent their ideas and that writing is communication. Emergent Writing Assessment Tool: First Author Writing Measures: First Author Writing Measures are a comprehensive group of measurement tools for beginning student writers. The measures (the Developmental Writing Scale, text type diversity, topic diversity, total intelligible words, and unique words) monitor writing growth in the earliest stages of writing over time. First Author Writing Measures are appropriate for both young, typically developing children and students with mild to significant disabilities of all ages. Lots of Alternatives: “Pencils” for Everyone: An alternative pencil is defined as anything that provides a student with access to all 26 letters of the alphabet. Writing with alternate pencils allows students with significant disabilities to develop beginning writing skills by supporting them to go through the same developmental writing phases typically developing students do. Predictable Chart Writing: Predictable chart writing is a fun and easy, shared writing activity that supports emergent and conventional writers and readers. It is a way of providing some structure, while allowing students to generate their own ideas. Predictable Chart Writing is an excellent component of creating a modified curriculum for emergent writers. Meaningful Writing Activities for Emergent Writers: Writing development emerges over time. For students in the emergent stage of writing, we need to provide many opportunities to engage in writing. The form of conventional writing becomes more conventional over time when we provide opportunities for them to engage in activities and provide feedback and instruction that emphasizes the meaningful functions of their writing. Below are some ideas related to supporting emergent writers. This entry was posted in Building Inclusive Learning Environments, Organizing Learning and Instruction, Providing Supports for Success, Resource Round-up. Class Environment Reflection Tool: This checklist helps classroom teachers access their classroom environment through a Self-Reg lens. It includes consideration for both macro-environments (classroom organization, visual and auditory stimuli, nutrition, hydration) and the adaptations and tools to meet the self-regulation needs of individual students (quiet area, alternative work spaces). Flexible Classrooms: Providing the Learning Environments that Kids Need: Flexible classrooms give students a choice in what kind of learning space works best for them, and help them to work collaboratively, communicate, and engage in critical thinking. Today’s Classrooms Should be About Flexible Teaching – Not Furniture: One teacher’s experience of how changing to flexible seating transformed his teaching practice and created more opportunities to reach individual student needs. Educational Leadership – What To Do In Week One? : Students’ learning is markedly influenced by their connectedness with the adults in charge, classmates, and the larger community. This article outlines way to take advantage of this dynamic to support learning during the first weeks of school. Growth Mindset: The Power of Yet: This post outlines an activity that can faciliate a conversation about differences and growth mindset using the book Giraffe’s Can’t Dance. Included in the post are materials to personalize the concept of growth mindset. Our Hopes and Dreams for School: Inviting students to name learning goals (hopes and dreams) right away shows them that school is a safe place, that they’re important members of the classroom, and that they can look forward to an engaging, challenging, and fun year of learning. The process of articulating hopes and dreams varies depending on the students’ grade level and the teacher’s style. Included are ideas for various grade ranges. I Wish My Teacher Knew: An exercise to get to know your students; To find out what they’re like: what they love, what scares them, what they need help with…etc. The Sweeper Van – Creating Supportive Learning Environments to Foster Resilience in Students: Shelley Moore talks about the supports that exist for children. She argues that we need to move away form supports that are designed for specific students and instead create environments of inclusive support that can help all students to take risks and be successful. The Difference Between Universal Design (UDL) and Traditional Teaching: Universal Design for Learning (UDL) is an approach to teaching that aims to give all students equal opportunities to succeed, no matter how they learn. While some teachers in traditional schools may use UDL principles and practices on their own, traditional and UDL approaches to education are very different. The chart included on this page, created with the help of the Center for Applied Special Technology (CAST), highlights some of the differences between traditional classrooms and UDL classrooms. CAST, an Understood founding partner, developed the UDL framework. Listening Isn’t Cheating: How Audio Books Can Help Us Learn: A blog post that highlights one of the foundational concepts of UDL: Start by separating the method from the goal. Universal Design for Learning (UDL) Strategies: UDL strategies are instructional methods and tools used by teachers to ensure that ALL students have an equal opportunity to learn. The strategies are organized by UDL Guideline. These guidelines to select strategies that remove barriers in instruction so that all students can achieve their learning goals. Inner World Work in UK has created booklets for school staff and parents to help with understanding what survival states look like in home and school environments and what can be done to support children/youth and subsequently improve their learning. The final document on the list allows the student to create a book that reflects their own survival patterns and supports. On March 23-25, 2017, MHCBE was one of 35 worldwide Web-hosting sites for the Bridge School’s bi-annual AAC by the Bay Conference. The conference focuses on issues and strategies related to education and communication of users of augmentative and alternative communication. This years focus areas included language acquisition and documentation, specialized curriculum areas related to vision and mobility, and language and communication development for students with autism. The option to web-host and attend the conference virtually created a great learning and networking opportunity for MHCBE Teachers, AHS and Private Speech Language Pathologists and Assistants and our regional Teacher for the Visually Impaired. Below are some of the highlights of the three-day conference. The emphasis on language assessments is generally on spoken language. This means that there is often no way to document the many ways how individuals who can’t speak can communicate. In 1990, the Communication Matrix was created to respond to the need for an assessment tool for this population of students. This assessment offers a clear way to organize our observations of a child’s early communication abilities which then better positions those working with the child to consider communication partner strategies for growth. The sessions on the first day of the conference outlined the design and use of the Communication Matrix and then the presenters shared many case examples of strategies that can be employed based on the profile that is created through the assessment. This positions teams to create a cohesive plan to promote the child’s advancement toward being a symbolic communicator. Over the remainder of the year, MHCBE intends to adopt the use of this assessment tool with the students who fit the profile that this tool was designed for. We are excited about how the information we gather through the assessment can help guide our interventions and supports. Individuals with cortical visual impairment (CVI) present with a unique collection of visual and behavioral characteristics. These characteristics provide the foundation for specialized assessment using The CVI Range which determines the degree or level of functional vision. The scores derived from The CVI Range are then used to guide interventions and accommodations that are applied to meaningful routines of the day. The first two presentations of day two provided information and practical strategies connected to the CVI Range. The accommodations that were highlighted demonstrated how those of use working with students with CVI can recruit and increase use of that student’s vision for communication, academic instruction, and accessing the environment. These accommodations lead to increased use of vision during instruction, support for vocabulary and language acquisition, increases in effective use of all AAC modalities, and support for the development of literacy skills. The final presentation of the day examined the experiences of students with physical disabilities who were able to participate in self-initiated mobility experiences through the use of hands-free support walkers and thematic activities embedded into the curriculum in ways that contribute to the foundation of learning and development. Students who participated through these means demonstrated a positive increase in peer interaction, engagement, self-initiation, problem solving, physical motor control, and use of the upper extremities. Discussion was embedded throughout around the impact that this has on a student’s language and communication abilities. Day two highlight for those of us attending the importance and reinforced our practices of collaborative teaming when working with students with complex needs. It offered new information and strategies to consider to support continued development. The final day of the conference focused on supporting students who have autism to develop their initiation, communication and language skills. The session started off by examining research on initiation abilities of children with autism and challenged participants to consider that challenges around initiation of the use of communication systems might be tied more to our teaching methods then to a deficit inherent to autism. The first part of the session looked the Picture Exchange Communication System (PECS) and the instructional errors that are made in the process that can result in a lack of spontaneity. The second part of the session discussed the need to move “beyond PECS” in order to provide opportunities for students who rely on AAC to initiate messages through the use of core and fringe vocabulary displays. The presenter, Pat Miranda, spoke to the need to make ongoing deposits in the student’s “language bank” so that, over time, they will be able to use those deposits in communicative interactions. She spoke about needing to model the use of a communication system that includes both core and fringe words right from the start even if the student is also working on the PECS system as a specific targeted intervention to learn exchange, perseverance in communication and discrimination of symbols. These sessions reinforced the modeling work that is happening across our division to support this population of students. This entry was posted in Building Inclusive Learning Environments, Engaging with Parents and the Community, Organizing Learning and Instruction, Providing Supports for Success. Starting in junior high and through high school and into the early years of college or university the prevalence of mental health disorders increases dramatically.Between the ages of 12 and 25, one in five young people will develop a mental health disorder (depression, anxiety disorders, psychosis, eating disorders, substance abuse…etc.). Students often turn to teachers, guidance counselors, administrators, learning assistants, and various other school-based staff for help when dealing with social and emotional issues that arise during these years. But these professionals may not always have the tools to identify mental health issues with particular students. With this in mind, on March 18, 2017 MHCBE hosted it’s first “Go-to” Educator Training for school staff to learn how to recognize mental health problems as well as how to connect students with the mental health supports, both at school and in the community, that they may need. The “Go-to” Educator Training was developed in 2009 by Dr. Stan Kutcher, Sun Life Chair in Adolescent Mental Health. The training helps build understanding of the need for the integration of schools with health care providers to better meet the mental health care needs of young people. MHCBE is currently working with stakeholders to create a Mental Health Strategic Plan. The continued movement toward integration of school and community supports is an integral part of this plan. This entry was posted in Engaging with Parents and the Community, Providing Supports for Success. Students who have complex communication needs (CCN) are unable to communicate effectively using speech alone. They and their communication partners may benefit from using alternative and augmentative communication (AAC) methods, either temporarily or permanently (Perry et al. 2004). When students with complex communication need are successful in education, they go on to achieve meaningful lives that include employment, post-secondary study, friendships/relationships, community living…etc. Over the past several years, MHCBE and the southeast region service providers have been building their capacity to support students with complex communication needs and, in the process, have been breaking down social, learning, and living barriers for, and with, these students. In 2010, MHCBE began the process of shifting our educational approach for students with complex communication needs from a self-contained approach to an inclusive approach. Two years later, all students with complex communication needs were included in age-appropriate neighborhood schools. Inclusive education provides enables students with complex communication needs to listen and learn from peers who are able to speak, creates opportunities to provide peer support, and provides the frequent routine, social and academic communication opportunities needed to learn to communicate. Inclusive education also offers multiple in-points for the development of literacy skills and better ensures that high expectations for this population of students are maintained. Inclusive education gives students the best chance to become competent communicators and to participate in meaningful inclusive lives. “Education requires a robust support system for people with complex communication needs, including special educators and therapists with specialised skills in addressing the physical, health, communication and educational needs for students with high support needs” (Giangreco, Cloninger & Iverson 2011). MHCBE has responded to this need by building up resource of materials to support this population. These resources include iPads with both communication and literacy apps, core word boards, PODD communication books, and Pixon Project materials, literacy program resources (MeVille to WeVille, First Author Writing Curriculum, Start to Finish Core Curriculum, and Start to Finish Literacy Curriculum), and alternative pencils for writing. Many of these resources were provided in the four years that multiple teachers from the division participated in Alberta Education’s Literacy for All and Learning for All communities of practice. Over the past few years, Speech Language Pathologists (SLPs) working with this population of students in MHCBE have been expanding knowledge through training and personal study. In 2016, MHCBE hired an SLP who has extensive experience in the area of augmentative and alternative communication to work as part of a support team for students with CCN from grade 1 through 12. This ensures long-term consistency and continuity for these students. Having this SLP be a member of a divisional specialized support team also creates opportunities to capitalize on the connections between curriculum, social/emotional development, literacy, language and communication. People with complex communication needs can access speech generating communication devices through Alberta Aids to Daily Living (AADL). Eligibility for these devices must be determined by a Speech Language Pathologist (SLP) who has been approved as an AADL Authorizer. An Occupational Therapist (OT) may also be involved in this process depending on the access needs of the person seeking the device. In the past, families of students who wanted to access AADL supports for devices needed to travel to Calgary. Accessing this serve involved an extensive wait list. In 2014, Medicine Hat Health Services became an AADL Authorizer. This has resulted in students being able to more quickly access this service. As it is local, it has also created the opportunity for much more extensive and ongoing problem solving to ensure that people are getting devices are effective for them. Since this services has been provided in our local area, MHCBE students are getting the devices they need in a much more timely manner. Finally, in 2015 MHCBE started hosting a monthly AAC Parent Support Group meeting for all parents in Medicine Hat and area. This group meets the last Tuesday of every month from 6:30 to 8:30 at St. Michael’s school and offers parents a time to connect, share stories, offer support, problem solve and learn together. All parents are welcome. If you are interested in learning more contact Monica Braat at 403.866.5443 or monica.braat@mhcbe.ab.ca. Parents can also join our Facebook group Let’s Talk: AAC in Medicine Hat. On Friday, March 10, 2017 over 20 Speech Language Assistants, kindergarten teachers, early learning educators, and learning assistants who work directly with students with complex communication needs in our early learning programs and kindergarten classes gathered for a hands-on professional learning session on Augmentative and Alternative Communication (AAC). There are plans in place to deliver this workshop to others in the division who are working with students with complex communication needs. A link to the handout for this session is provided below. Students at Mother Teresa School now have a space to ensure they’re in the right frame of mind to learn at school. The school recently opened up a Just Right Room, a space where students can learn coping strategies and emotional regulation to get ready to learn at school. The concept of the room originated at St. Patrick’s School five years ago. 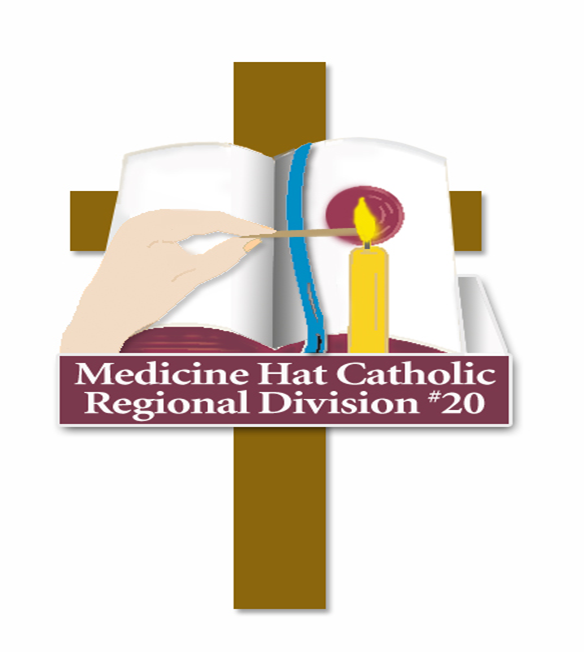 “We found it was a good resource to have at St. Patrick’s School, so I jumped on the opportunity when a classroom opened up at Mother Teresa School,” said Kym Porter, early childhood services coordinator with the Medicine Hat Catholic Board of Education, during a recent board meeting. Hugh Lehr, MHCBE’s associate superintendent of learning services says the board has also been researching self-regulation and best ways to improve it among students. “We can’t assume that all kids are ready to come to school, are ready to sit, are ready to listen,” he said on Wednesday. “Some kids need their engine revved up, some kids need their engine revved down. Some needs breaks, some need quiet spaces, and this room allows them to get into the just right state for learning. The room features tools such as fidget tools, art and craft supplies, a story area and a swing chair, among other items. Lights in the room are also dimmed and there is minimal items on the wall, to help avoid distraction and stimulation for some students. The room has three staff members supervising so students do not need to be with their education assistants to utilize the room. “The room is available to all students at the school, and having the extra support and the staff in there, gives the teacher an opportunity to work on their relationship with the child in a different environment, as well as with the staff that’s in there already,” said Erika Bodnaruk, principal at Mother Teresa School, who adds that half of the staff have been trained in use of the room, while the remaining staff will be trained by the end of the month. Lehr notes each elementary school in the division has a space dedicated to self-regulation. This entry was posted in Building Inclusive Learning Environments, Providing Supports for Success.